Did you know that 43 million working people in the U.S. are balancing the demands of their jobs with caring for an aging loved one or child who needs extra support? Did you also know that most employee caregivers — 20% of your company’s workforce — suffer in silence and will never mention their caregiving status to you, their employer? It’s time to address the national caregiving crisis, its impact on your company’s bottom line, and the competitive edge a caregiving-friendly workplace provides ... See More in today’s economy. 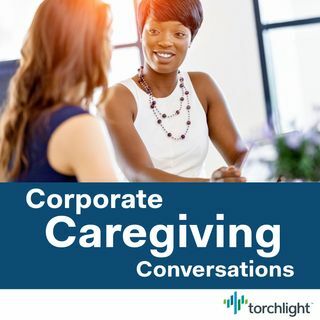 Tune in now to Corporate Caregiving Conversations, a Torchlight podcast, for straight talk with the nation’s top business leaders, policymakers, and caregiving experts. If you’re interested in learning more about Torchlight’s suite of caregiving products and how they align with your current HR and benefits initiatives, please contact, info@torchlight.care. What do caregivers really need from employers? How does your company champion its employee-caregivers?